Genre: Action, Adventure, Drama, Comedy. Casting: Jamie Foxx, Christoph Waltz, Leonardo DiCaprio, Samuel L.Jackson & etc. 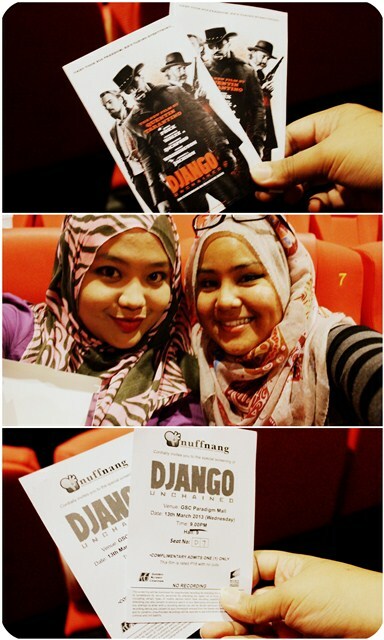 Directed by the well-known Quentin Tarantino whom i just heard the name during the screening. Err..sorry because honestly, action genre of movie is not really my thingy! then, why did i was so over-excited to win the pass from dear Nuffnang here? the absolute reason is LEONARDO DICAPRIO is one of the main cast bebeh~ heh heh heh..please know that i've got a big big big crush on him since the Romeo&Juliet to the Titanic to the Inception and to this Django Unchained! 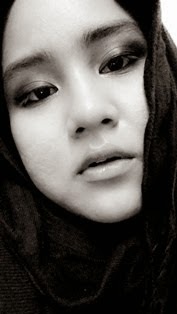 Then, here is not-really-a-short one. set in the year of 1858, 2 years before the Civil War and during the predominance of White people over the Black slaves were separately exercising by the American. The picture started with several male slaves inclusive Django (Jamie Foxx) being chained and transported by the new owner, Speck Brothers. then, sudden appearance of Dr. King Schultz (Christoph Waltz) who claimed to be a German traveler Dentist and announced that he is looking for the Brittle Brothers and also wanted to pay for Django's freedom. it rising up anger in the Speck brothers and they warned to shoot him without knowing that Dr. King Schultz is actually a bounty hunter, a prompt and heartless one! Errr..but seriously zany in character! Then, the plot initiate from the releasing of Django who then became a partner to Dr. King Schultz to track and kill all the wanted bounties. Dr. King Schultz offers him freedom and assisting him to rescus his wife, Broomhilda after the winter. Next plot is when they gotta know that Broomhilda is owned by a brutal Candyland Plantation, Calvin Candie (Leonardo DiCaprio) that brought them to the Mississippi. Dr. King Schultz and Django tricked Candie that they wanna buy his fighter/slave for $12,000 and in the same time purchase Broomhilda on-the-side for any reasonable price because they believe Candie won't pay attention if he know that they actually just wanna free Broomhilda at the first place. then, the plan failed as Stephen (Samuel L.Jackson), the Senior House Slave aware of their tricks. 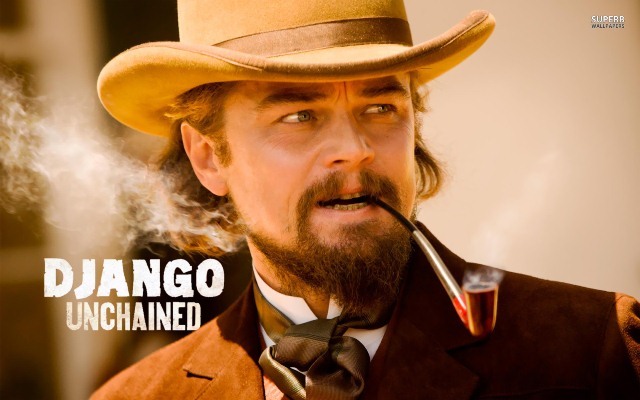 Django Unchained, the 'D' is silent. yup, the correct pronunciation is only J-A-N-G-O! haha..that was the famous line by Jamie Foxx the main character of this movie that made us laugh for everytime we heard it. not to mention that this is a cowboy-action-type-of-picture which is kinda brutal and rough with the splashing of blood in everywhere but seriously freaking hilarious! Thus, my rank is definitely 4.89 out 5.00 and highly recommended to all the movie-goers to watch it although you are not an action-genre fan. yup, please also know that the zany level is 4.99999 out 5.00! If you love movies like Pulp Fiction, Kill Bill and Inglorious Basterds, then you'll love this movie. Good review.